Welcome to the official Cooperative Baptist Fellowship application for the iPhone, iPod touch, and iPad. 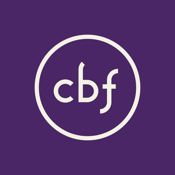 The CBF app allows you to connect with the Fellowship, engage in dynamic mission and ministry, equip yourself and your congregation, network with others and give to support life-changing work around the world. Share our content via Twitter, Facebook and email. The Cooperative Baptist Fellowship app was developed with the Subsplash App Platform.